Soil is gravely of alluvial foothill origin, typical of the land named “Grave del Friuli”. Guyot growing system. Harvest take place in the second week of September. About Vinification, the must extracted from the pulp, by soft squeezing, is separated from the skins before fermentation begins. The fermentation is done under controlled temperature to favour the extraction of colors, of taste and the growth and the preservation of the original aromas of the grapes. Fining in bottle. Straw yellow color with greenish tinges. 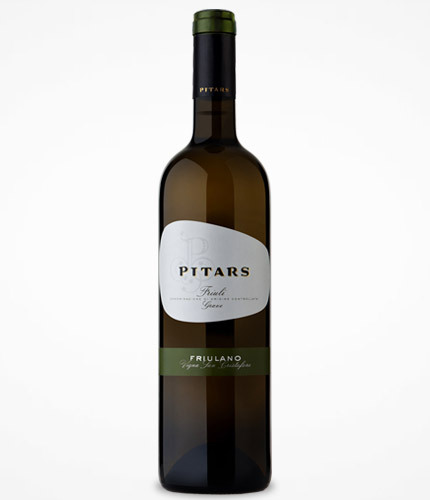 It is a great wine: soft and delicate but with an intense floral bouquet with hints of berries. Dry, fresh, smooth and velvety in the mouth with a slight almond flavor, well rounded with a moderately alcoholic content and acidity. Best drunk young or only slightly aged, the grapes are harvested early for a maximum flavor. It remains the brightest jewel in the crown of Friulan oenology.